Feature a U-V hard –coated, polycarbonate replaceable lens, precision molded PC reflector, nickel plated zinc die cast heat sink and come in a rugged, high-impact PC/ABS chrome housing. 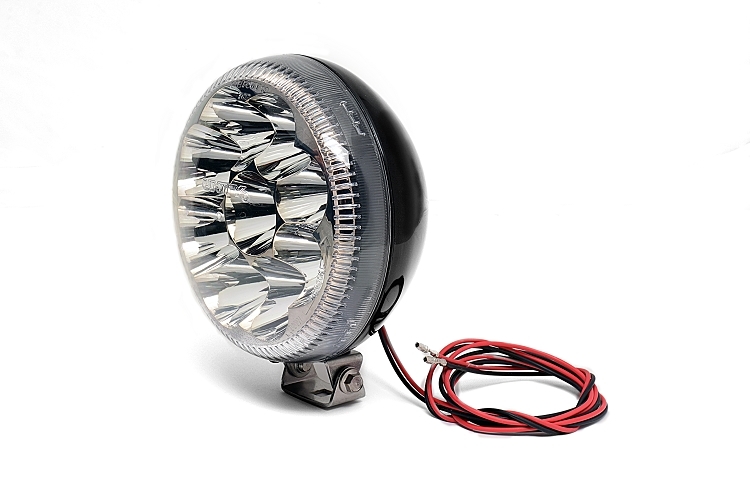 X-LED™ Work Lights feature a 6 in. LED composite lamp rated at 4,500 candlepower (2000 lumens), 12 volts, 30 watts and 50,000 hours lamp life. Each LED has its own individually focused reflector for maximum intensity producing a uniform, precise 30⁰ H x 30⁰ V beam pattern with a warmer beam color temperature which means more useful light for nighttime activities!